The 57th edition of the prestigious international art exhibition, the Venice Biennale, opened last Saturday with a dizzying 86 nations represented and 23 collateral events. From now till Nov 26, Singapore has a home in one of the national pavilions in the Sale d'Armi in the Arsenale, a complex of brick buildings that were former shipyards and armouries. While Venice is known for its charming gondolas sailing down its canals and water buses, known as vaporetti, transporting the bulk of tourists and residents, the Singapore Pavilion has its own vessel charting new waters - a 17m-long, 4m-high rattan ship suspended in mid-air. This is the centrepiece of Singapore multi-disciplinary artist Zai Kuning's work, titled Dapunta Hyang: Transmission Of Knowledge, which is named after the first Malay king of the Srivijayan empire. The work is based on Zai's nearly two decades of research into the rich history of the Riau Archipelago and its sea people, the orang laut. Besides Zai, two other Singaporean artists are presenting works dealing with tradition, history and memory in Venice, as part of the events surrounding the biennale. Sarah Choo Jing is presenting a video installation titled Art Of The Rehearsal, which depicts Chinese, Indian and Malay dancers rehearsing in the back alleys of Singapore's heritage districts. This work was originally commissioned for the National Museum of Singapore's new digital gallery, Gallery10, where it is currently showing. Partially filmed in the National Gallery Singapore before it opened, London-based artist Erika Tan's video installation, The "Forgotten" Weaver, is about a Malay weaver called Halimah, who died while she was part of an exhibition on the British Empire held in London in 1924. The National Arts Council's deputy chief executive, Mr Paul Tan, called the commonalities among these three works a "happy coincidence". He says: "In a context like the Venice Biennale, with its Eurocentric heritage and perspectives, I think drawing on our past is one thoughtful way that our contemporary artists can create art that will uniquely stand out and make an impact on international audiences." Singaporean multidisciplinary artist Zai Kuning, 53, launched his artwork, which comprises a 17m-long rattan ship, with great spirit. He performed a ritual similar to the ones performed by the urak lavoi (sea people) in Thailand. Banging the Korean changgu, a type of drum, he appeared to be summoning someone, or something, as his collaborators circled the ship that was gently swaying in the air. "With my respect - I don't want to say names - they are here," he proclaims at the official launch of his work, Dapunta Hyang: Transmission Of Knowledge, which took place last Wednesday. The work is part of the Singapore Pavilion - launched by Minister for Culture, Community and Youth Grace Fu - at the Venice Biennale and will be on show till Nov 26. Zai might have summoned the spirit of Dapunta Hyang Sri Jayanasa, the first Malay king of the Srivijayan empire, whom the work is named after. WHEN: Till Nov 26, 10am to 6pm daily; 10am to 8pm on Fridays and Saturdays till Sept 30. Closed on Mondays except selected days. "Dapunta Hyang was an enlightened being who brought knowledge to his people," he says. As a symbol of this knowledge, Zai's ship, which dominates the Singapore Pavilion, is flanked at bow and stern by books sealed with beeswax. These represent the rich history of the Srivijayan empire, which spanned an area that included present-day Singapore and Indonesia, all the way up to Vietnam, and lasted from the seventh to the 13th century. It is also said to have led to an expansion of Buddhism in the region. "This work is not about religion, it is about being human, about inspiring," Zai says. The work caps almost two decades of his research on the history of the Riau Archipelago and its people, the orang laut. This includes his interactions with practitioners of mak yong, a type of South-east Asian dance drama that involves rituals, on Indonesia's Mantang Island. Their black-and-white portraits are part of the work, along with an audio recording of a mak yong master speaking in an old form of Malay. Examples of words that are different from the Malay language spoken in Singapore are "aok" and "jak", instead of "ya" and "tidak", for "yes" and "no". To Zai, these are forms of living culture that should be preserved and he does not intend to stop here. 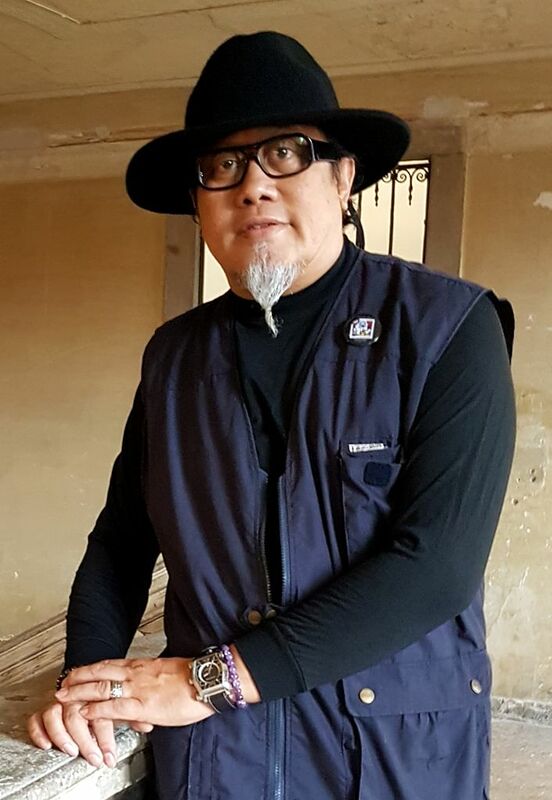 In fact, he has already started research into the menora, a type of Thai dance-drama believed to be the origins of mak yong. "I am looking for evidence of living culture that is still around. These are not relics. I hope that people can start to remember their history that they have taken for granted." In the National Museum of Singapore, Sarah Choo Jing's work, Art Of The Rehearsal, is grand, with nine traditional Malay, Chinese and Indian dancers on screen, appearing life-sized as they rehearse against the backdrop of recognisable back alleys in Chinatown, Kampong Glam and Little India. But in Venice, the video installation by Choo, 27, takes on a slightly different meaning as it occupies a much smaller space - about 10 times smaller than the National Museum gallery. Viewers can go up close to the figures of the dancers, which Choo says makes them seem like "maquettes", or small models of a larger work. "There's a kind of containment that is uncomfortable, but I think it's kind of necessary. With every piece, the challenge is always adapting it and bringing it to a different space" she says. Choo's work is part of a group exhibition titled Personal Structures that is being held at the Palazzo Bembo in Venice until Nov 26. It is organised by Dutch non-profit organisation, Global Art Affairs Foundation. WHEN: Till Nov 26, 10am to 6pm daily, closed on Tuesdays. The title of the work comes from Choo's fascination with the idea of dancers rehearsing. For the video, she worked with dancers from Apsaras Arts, Era Dance Theatre and Singapore Hokkien Huay Kuan Dance Theatre. She remembers seeing them being nervous before going on stage and coping in different ways, such as by listening to music. She says: "I saw the human side of them and I saw all of us in them, and them in us." Choo is known for her works which combine photography, videography and installation, dealing with themes of social alienation and isolation. She trained as a painter at Nanyang Technological University's (NTU) School Of Art, Design and Media and went on to get a master's degree in fine art at the University College of London's Slade School of Fine Art. Her mother works as a manager in a Japanese company and her father is a director in a freight company. She has a younger brother, 22, who is studying film-making in NTU. She claims she does "not mean to say something groundbreaking" with Art Of The Rehearsal. "There's nothing new that people don't already know. With a lot of my works, I want people to slow down and re-look the mundane things in life," she says. For example, at one point in the video, the dancers move in slow motion - some suspended in mid-air - to encourage people to look closely. While Choo has exhibited before in cities such as Paris, London and Berlin, this is her first work in Venice. She chose to stay close to her roots with this show. She says: "It was important that this work was about Singapore. We could have proposed other works, but I wanted it to be something more local and closer to heart." London-based Singapore artist Erika Tan's work takes the form of a loom, with white threads forming a sort of weave. It is apt because The "Forgotten" Weaver is a stitching together of two works by Tan, both dealing with Halimah, a Malay weaver who died while she was part of the Malayan Pavilion at an exhibition on the British Empire in London in 1924. It is being shown as part of the Diaspora Pavilion in Venice, a show that brings together 19 British- based artists responding to the themes of diaspora. The first is a work titled APA JIKA, The Mis-placed Comma (I, II, III), that was filmed within the exhibition space of the National Gallery Singapore before it was opened to the public, while works were still being hung. The work is commissioned by the National Gallery and will be shown in Singapore in May. It shows Cultural Medallion winner and choreographer Som Said dancing in the National Gallery halls and Chinese female debators arguing about notions of representation, and whether Halimah's life and death are relevant to and important for Singapore's history and art history. WHEN: Till Nov 26, 10am to 6pm daily. Closed on Tuesdays. The second work, Balik Kampong - Return By Proxy , is an Arts Council England- supported work that gives Halimah a voice and imagines her as an artist who has interactions with Tan. "The focus is the process of returning her home (to Malaya), and to think of these grand exhibitions that take place in Venice and other places in the West. How can we engage the public with these kinds of stories of minor historical figures?" asks Tan, who declines to reveal her age. Tan had read about Halimah, an expert weaver who demonstrated her artform in the British exhibition, but died at age 60 from pneumonia. Her body was never returned to Johor, where she was from, but buried in London instead. Says Tan: "I had the deed to where she might be buried but couldn't find her among the other Malay names. The question is what happens when you can't find more information? It becomes about discussion." The loom that the video work is projected on also symbolises a type of trap, "demonstrating her own entrapment and of gender and cultural representation". The idea of "returning" is also an important theme for Tan, whose mother is English and father is Chinese. While she grew up in Singapore, she has been living in London for about 25 years. She is married with an eight-year-old child. "We have to ask what we mean when we say 'Singapore art'. The question is whether you are Singaporean, whether you fit, whether you represent anybody," she says. What: Yeo, a sculptor, presents two outdoor sculptures, titled Ballet, made of bubble-like forms from his Ideal Lady series, in which he intends to provoke thoughts around the idea of beauty. He says the works are about "the hunt for perfection", with the contrast between the "image of the soft and voluminous female body" and "real obesity" underneath the pink flesh. This is Yeo's first participation in events surrounding the Venice Biennale and he will have a solo show at Juming Museum in Taiwan later this month. What: Rosihan's 30 x 30cm painting, titled Stamp Of A Lifetime, done in his characteristic surrealist style, is about someone's life-long desire "to stamp an existence in the inner space of a dream". Rosihan exhibited in Singapore in the National Museum of Singapore in the 1980s and several galleries, as well as overseas in countries such as Japan and Indonesia. This is his first time participating in a show in Venice. His work is part of a showcase by the Mediterranean Endeavors Advancing Development of Widespread Sustainability (Meadows) International Fine Arts Artists showcase within the Personal Structures exhibition.